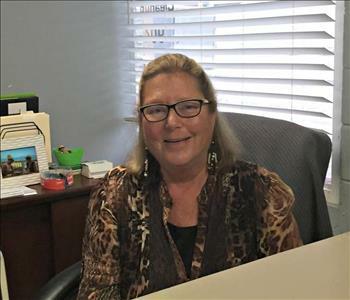 Cathy Dreblow is the office manager at SERVPRO of Fernandina Beach/Jacksonville Northeast. Cathy has been a licensed real estate agent for 20+ years and also has 15+ years of experience as a relocation expert. She keeps our office running smoothly so our team can quickly respond to any disaster large or small. When Cathy is not busy holding the office together she enjoys gardening, visiting the beach as well as following college football in the fall. If you have water damage, fire damage, or mold issues in the Fernandina Beach, Yulee or North Jacksonville areas give Cathy a call and she will dispatch a crew to accommodate your restoration needs. Pamela recently joined SERVPRO of Fernandina Beach/Jacksonville Northeast as administrative assistant. Pamela assists our office manager in performing office administrative tasks related to customer calls, job management and tracking, scheduling of jobs, and customer satisfaction activities. She performs basic accounting duties and is learning to use Xactimate, our estimating software. Pamela also performs general office duties such as drafting correspondence, filing and creating reports. She has a property management background and has worked in the area for several years. Pamela has two children, a girl age 5, and a boy age 3. Jamie Chenevert is Production Manager for SERVPRO of Fernandina Beach/Jacksonville Northeast who brings years of construction and maintenance experience to the job. In reconstruction projects, Jamie has a keen eye for detail and delivers first-rate finished projects. Though he excels in reconstruction jobs, Jamie also holds IICRC certification as a Water Restoration Technician (WRT). He has experience in managing maintenance projects on state and federal buildings, and overseeing the transport of hazardous materials. Jamie recently relocated to Yulee with his wife and two children. Richard Floyd is a Production Technician at SERVPRO of Fernandina Beach/Jacksonville Northeast. Richard is responsible for restoration of water damage, fire damage, and mold remediation as well. Richard holds IICRC certification as a Water Restoration Technician (WRT), He has good communication skills for both customer relations as well as office staff; customers always give him rave reviews. If you experience a disaster Richard is available 24/7 to assist with your restoration needs. Sean Edwards serves as Production Technician with SERVPRO of Fernandina Beach/Jacksonville Northeast. Sean came to us with prior experience in restoration work, and has both IICRC certification as a water restoration technician (WRT) and EPA certification as a lead paint remediator. 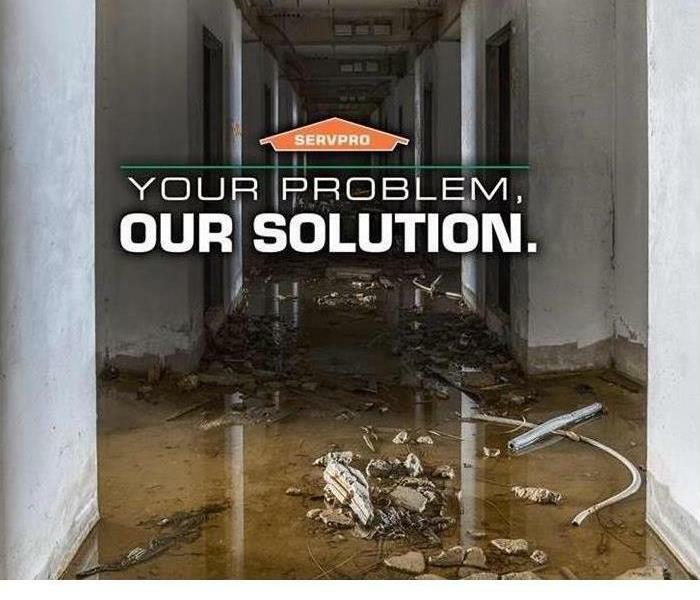 Available 24/7 for water extraction and restoration jobs, Sean is a qualified and well-rounded member of the SERVPRO team. He is married and lives in the Amelia Island area. 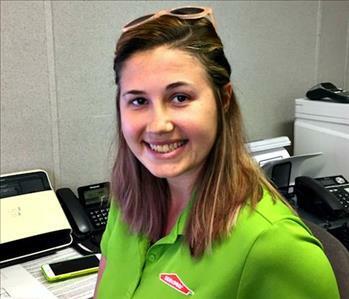 Tallis Rawls is a Production Technician with SERVPRO of Fernandina Beach/Jacksonville Northeast. He had construction and logistics experience upon joining SERVPRO and assists with water, fire and mold damage, duct cleaning, and general construction and cleaning. With production expertise, good communication skills, and an easy smile, Tallis is an excellent addition to the team. Tallis grew up in this area and continues to live here. 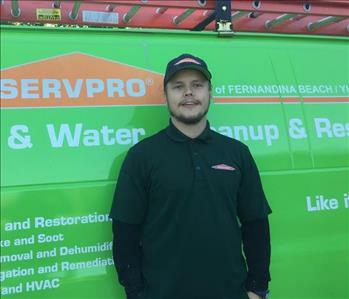 As Production Technician for SERVPRO of Fernandina Beach/Jacksonville Northeast, Troy Bossard also had prior experience in the field of emergency services related to storm damage and water and mold restoration work before joining our team. He assists in all areas of production. In his free time, Troy enjoys pursuing marketing of specialty products on social media platforms. As a Production Technician, Jovan is responsible for responding to and mitigating water, mold and fire losses at residential and commercial properties with his team members. He responds to emergency service calls and performs general cleaning and duct cleaning services as assigned. He has good communication skills and enjoys helping restore their homes back to normal after they have suffered water or other damage. Prior to joining SERVPRO of Fernandina Beach/Jacksonville Northeast, Jovan helped install equipment for telecom systems. Jovan lives in Yulee. 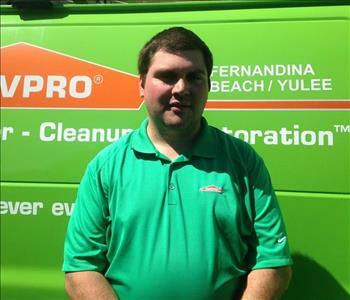 Nolan Martin is a Production Technician with SERVPRO of Fernandina Beach/Jacksonville Northeast. Nolan has an interesting background; he was formerly in the Army in the roles of Supply Engineer and Culinary Specialist. He brings a great sense of organization and attention to detail to his role of responding to customer calls, while adhering to the 1-4-8 response guidelines. Here at SERVPRO, he coordinates with the Production Manager to communicate any customer needs and facilitates addressing those needs. Nolan lives in the Kingsland area. 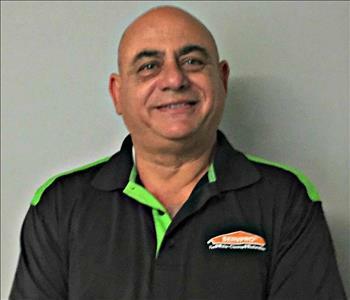 Bob Awad is sales manager of SERVPRO of Fernandina Beach/Jacksonville Northeast. Bob brings a wealth of experience to the position as both a previous business owner and sales professional. Most recently Bob was assistant manager of a local home improvement retailer. With an energetic and outgoing personality, Bob will be calling on customers and prospective customers in the Nassau county/North Jacksonville area. Bob has lived in this area for a decade, and has two children. 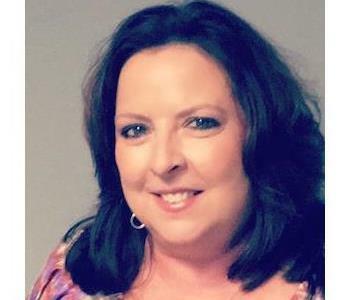 Deborah Lewis joined SERVPRO Fernandina Beach/Jacksonville Northeast in the area of Business Development. Deb plays an active role in managing our online presence and looking for new ways to get the word out about our business. She has years of experience in the advertising and marketing arena. After spending time in this area during visits for many years, Deb and her husband relocated here from Atlanta in 2016.